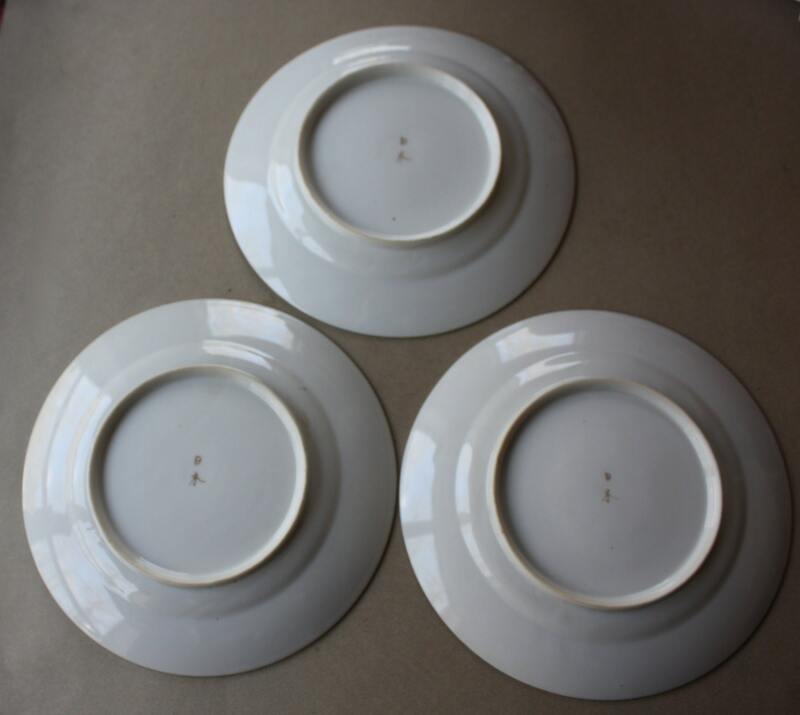 These three plates have the Nichi Hon or Nihon mark that was used primarily during the Meiji through the Taisho periods. These characters mean "Nippon." 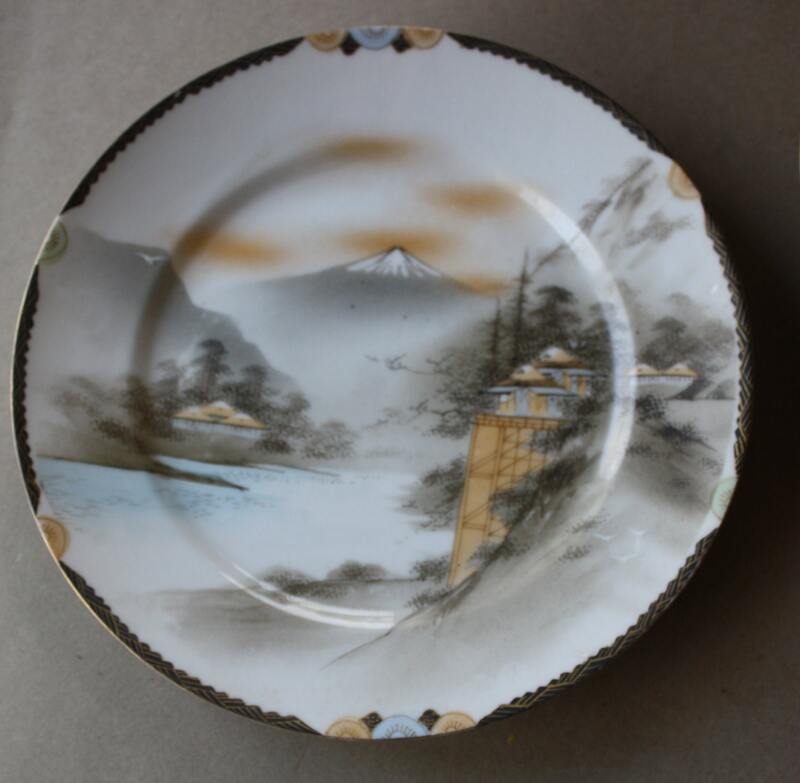 Jan-Erik Nilsson of Gothborg.com writes, "Regarding porcelain marked with Japanese charcters Nichi Hon or Dai Nichi Hon reading Nippon or Dai Nippon (=Japan) written in Japanese kanji characters this could be found on Japanese porcelain unrelated to customs regulations, clear from the Meiji period (1868-1912) all through the Taisho period (1913-1926) and up until at least the second WW." The plate borders with scallop design are distinctly Art Deco. All three plates depict Mt. Fuji and a lake with homes and/or temples. One plate has a water wheel, which irrigates rice paddies, and is a popular subject along with Mt. 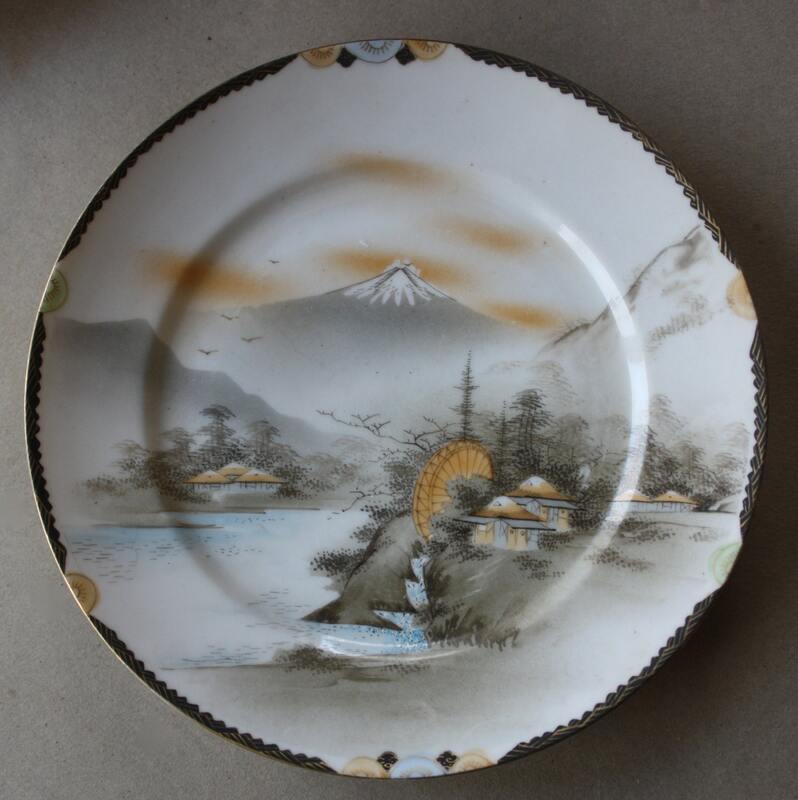 Fuji in Asian, particularly Japanese, iconography. These plates are 7 ¼" across and are free from chips. 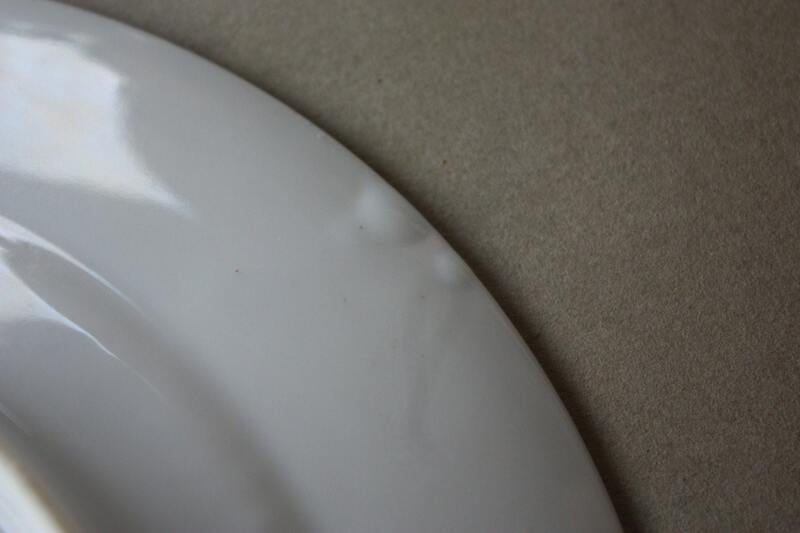 Please do examine the photos carefully, though, especially the last showing a couple of blister-like protuberances on the back edge of one of the plates. These aren't visible when the plate is displayed showing its front. 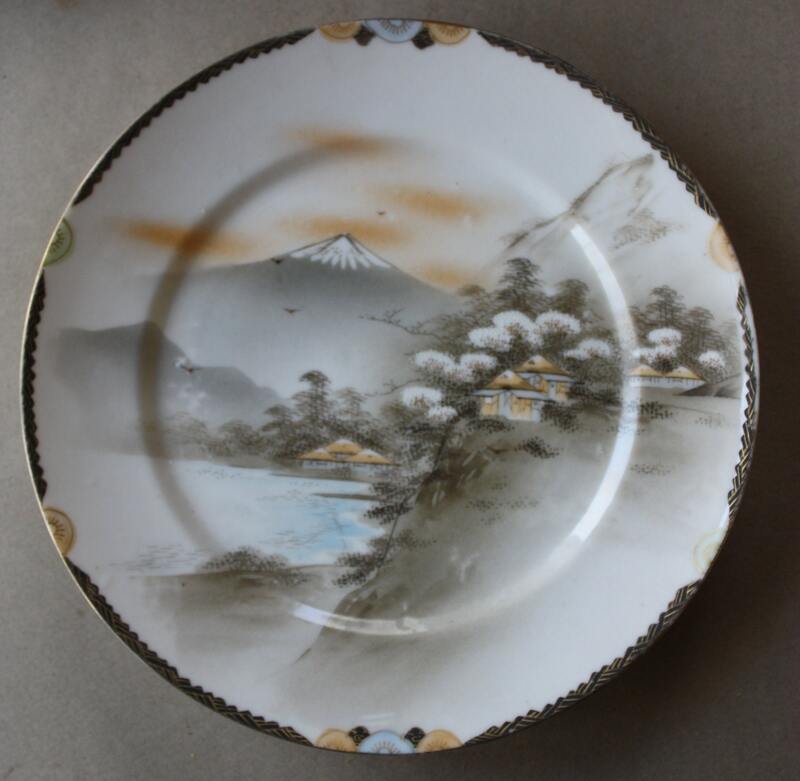 Thank you to http://litaxulingkelley.blogspot.com/p/japanese-porcelain-marks.html and to www.gotheborg.com for their incredibly helpful sites. Please note that the price is for all three plates. An overage in shipping fees of $1.00 or more will be refunded to you upon shipment of your plates.